Using Garage Band: Back it up! So I’ve been using Garage Band to edit an audiobook together for a client-project. 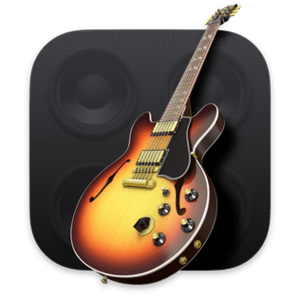 Here’s a couple of thoughts on using Apple‘s iLife Suite Garage Band. Back-up your files: Thankfully, it seems that Garage Band’s system for combining media, includes the project-file and the media itself together. It’s an easy drag and drop backup, but you just have to find where the files are located. I’d suggest starting your search in [HouseIcon]UserName > Music > GarageBand>FolderName. Beware losing source-audio: I’m glad I did this back-up. Garage-Band decided that when I was going to copy and paste some clips between one file and the next, that it was going to lose a chunk of the nested audio-source file inside of it. To-date, I don’t know how to get it back, but thankfully, it was backed up on an external hard-drive. (A) File size is manageable (for backing up, as well, as opening, playback and editing). (B) Editing is less cumbersome, since the amount of sound-data to scroll through on the timeline is a little less involved and extensive. I’m trying out my nifty little file name categorization sans numbers system in this project, to make audio track names that don’t require numberical bumpers up front when their titles are displayed. Maybe I’ll talk about that later. For point of reference, I’m using a MacBook laptop, not a desktop.